4th League Race of the season, come and race for your team. 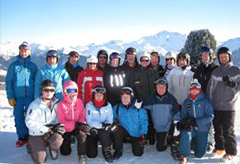 The Club holidays in Courchevel, Westendorf and La Grave in 2015 were very successful and most enjoyable. A Ski Club of Ireland Gift Voucher is a super idea for any occassion.